I passed by Trollbeads boutique in Robinsons Magnolia many times but it was only last Sunday when I was able to enter the store. I was amazed at the display inside. Imagine, a crown ring with a dust of shimmering gold, calling for my attention a la Confessions of a Shopaholic hahaha Of course, I also took notice of the different Trollbeads available. I was able to inquire about the brand, where it came from and what it's made of. One of the SAs patiently discussed the brand with me. 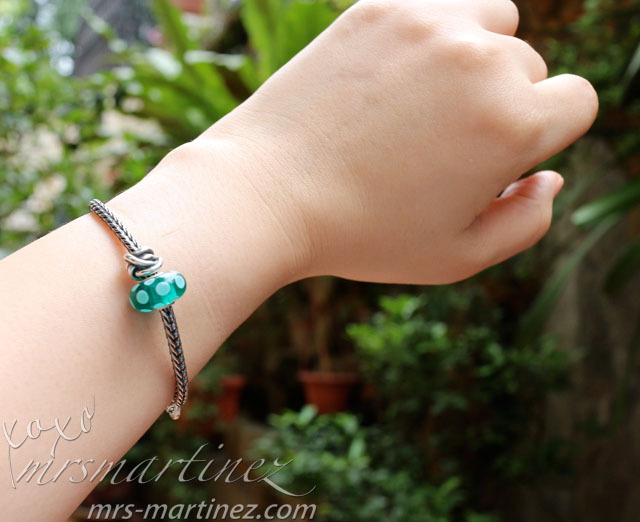 Trollbeads' "bead on bracelet" concept definitely piqued my curiosity but that day, I went home empty-handed. The next morning, I searched online and found out that Trollbeads originated in Copenhagen, Denmark in 1976- the year I was born! The first bead made was a small, silver bead decorated with 6 faces that, well, look like a troll hence the name Trollbeads. 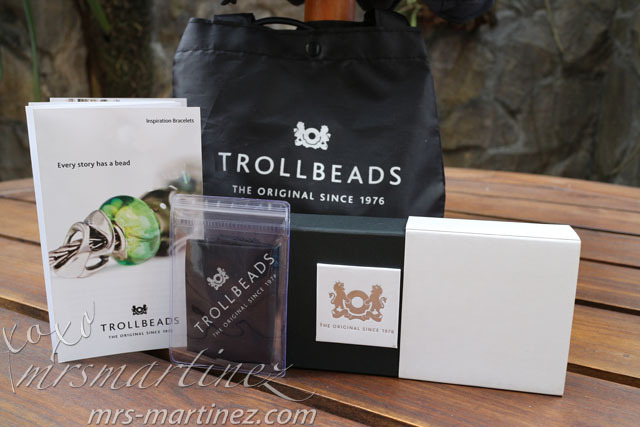 What's in a package of Trollbeads? 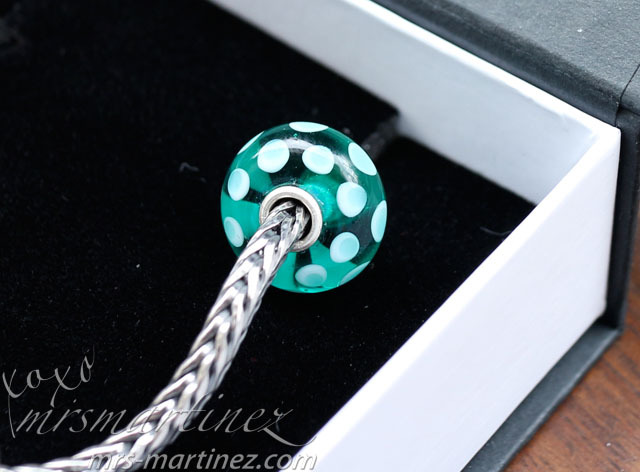 My favorite color is blue but my mom said that this year's lucky color is green so to meet halfway, I chose this Colorful Joy glass bead in Teal. 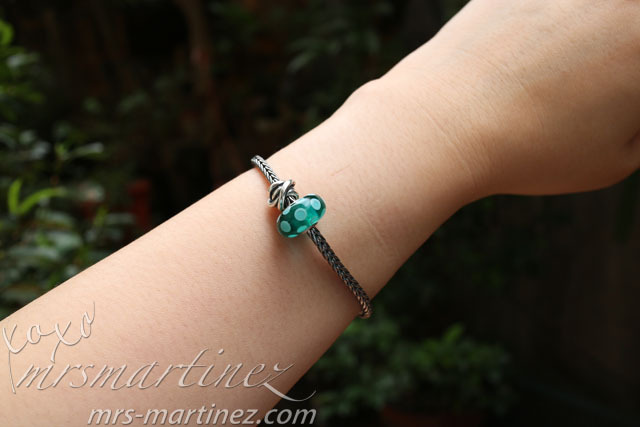 Are Trollbeads made of Murano glass? The glass bead has an LAA* stamped on the silver insert. Available in 6 colors: Midnight, Teal, Red, Pink, Citrine and Blue. 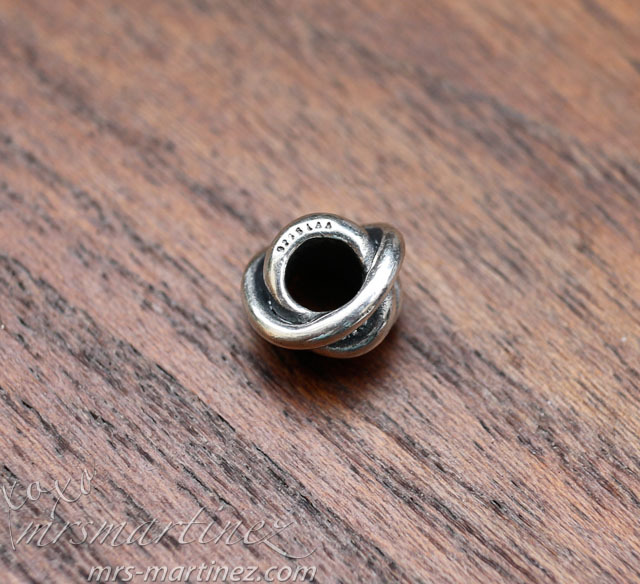 To know if Trollbeads are genuine, Silver/Glass beads are stamped with these inscriptions: 925S* LAA. Silver and gold beads made before January 2006 are not stamped. Glass beads were first stamped in May 2008. On one side of the larger lock, 925S was stamped while LAA was stamped on the other side. 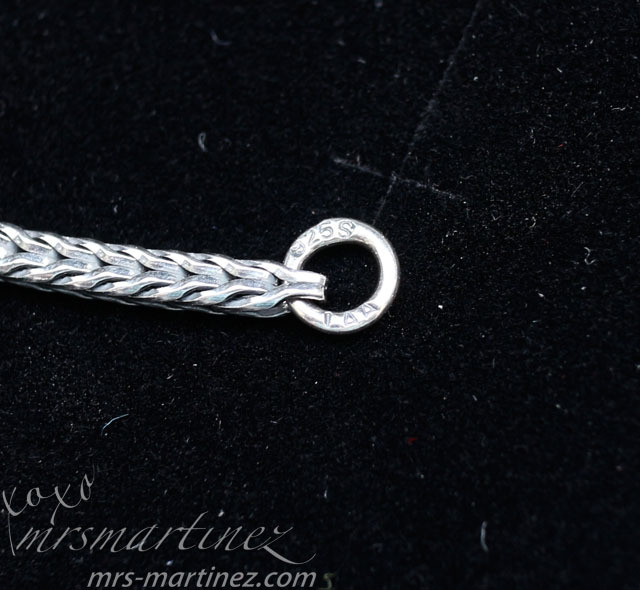 The small end should be hooked on to the small eye of the bracelet and the larger end should be hooked on the larger eye of the bracelet. 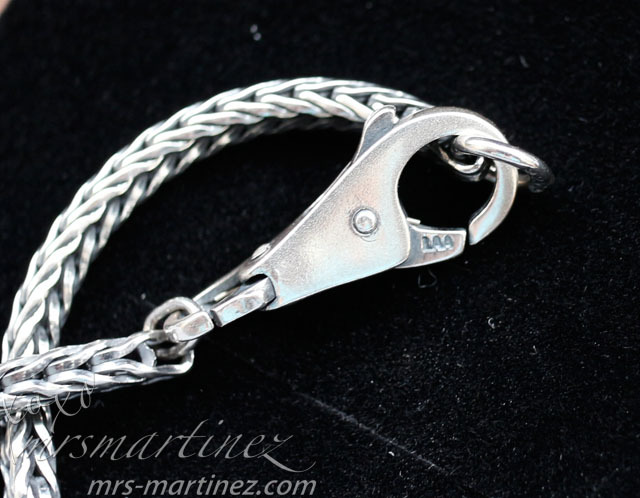 To open the small end: Use your thumb to push the bottom of the small clasp inwards. To open the large end: Pull the tab o the back downwards. I can't wait to buy my second, third, fourth and fifth beads to add to my collection. I am also thinking about getting the solid sterling silver bangle but it costs PhP 5,495 for the bangle alone ; p Oh, I need stoppers (PhP 1,095 each) too. Ayayay! Every story has a bead, read my story here. 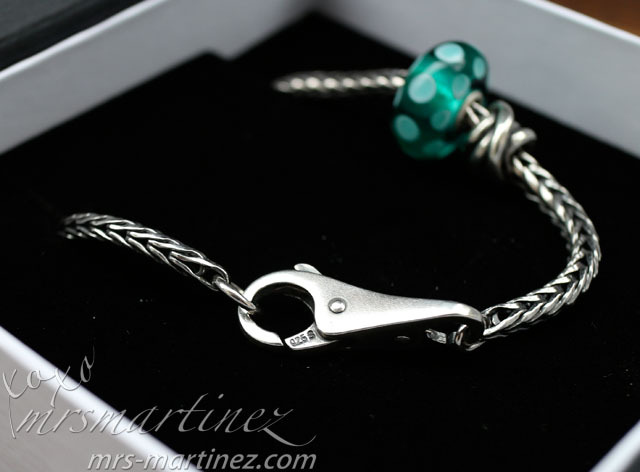 You can view about the rest of my Trollbeads collection here and here.